Advise. Design. Event Production. Technical Production. Equipment. 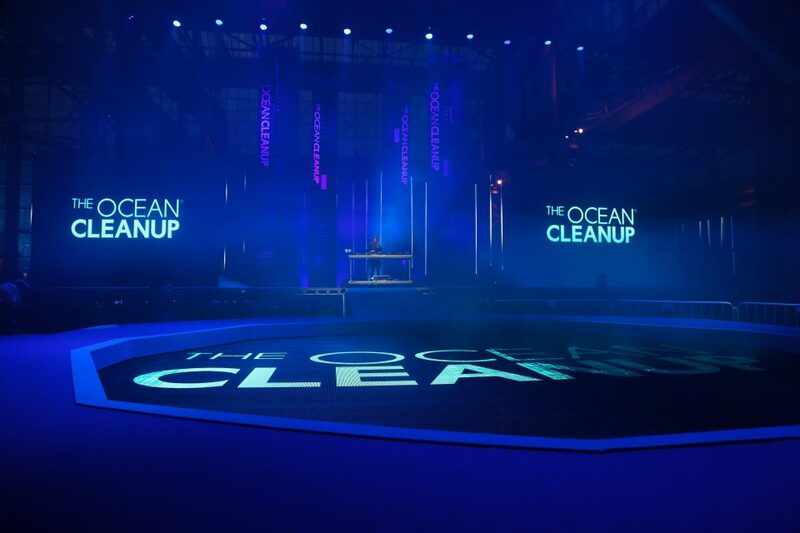 The Ocean Cleanup reached out to us in a very early stage in the organization of their NeXt Phase Event. A period of intensive research and fundraising made for soaring expectations. Fans, shareholders and potential investors were eagerly awaiting an update on the latest developments, so this event had to be the telltale-deciding factor. We were honored to use our expertise to create this moment for them. Together with Piet-Harm Sterk (BIND) and Fleur Nieuwland (Dutch Matters) we formed a temporary collaboration within The Ocean Cleanup organization. 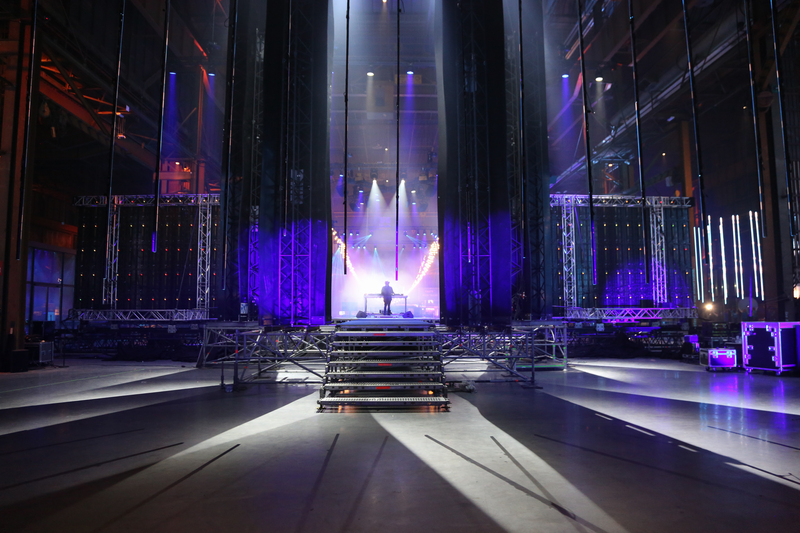 We worked closely together to create the best results for The NeXt Phase Event. 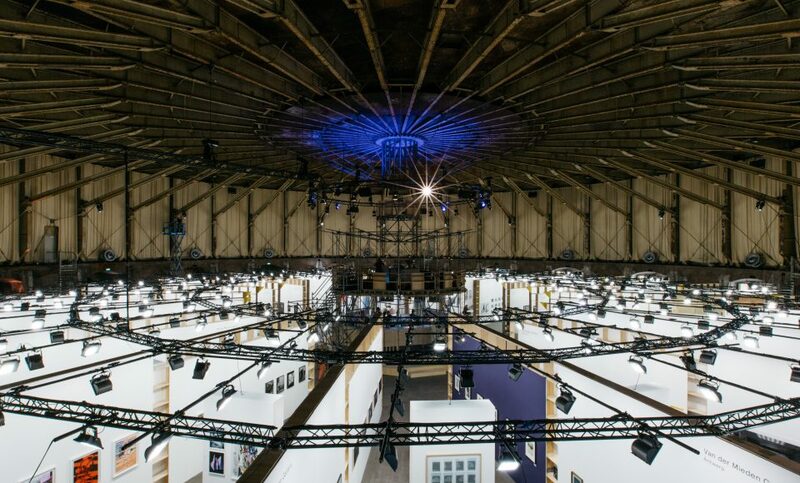 We gave advice, did the design and produced the event – which was held in the iconic Werkspoorkathedraal in Utrecht. 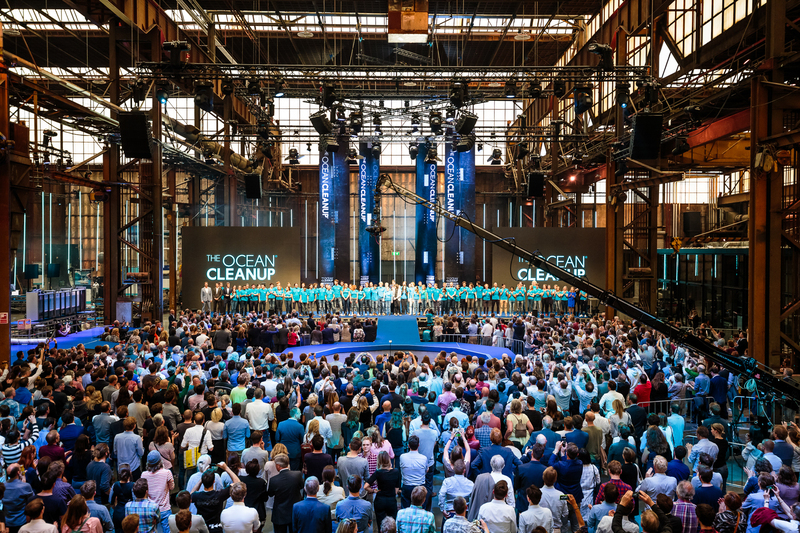 We took the visitors on a journey through the progress that The Ocean Cleanup had made over the years, making sure emphasis lay on the problem of a vast amount of plastic in our oceans. 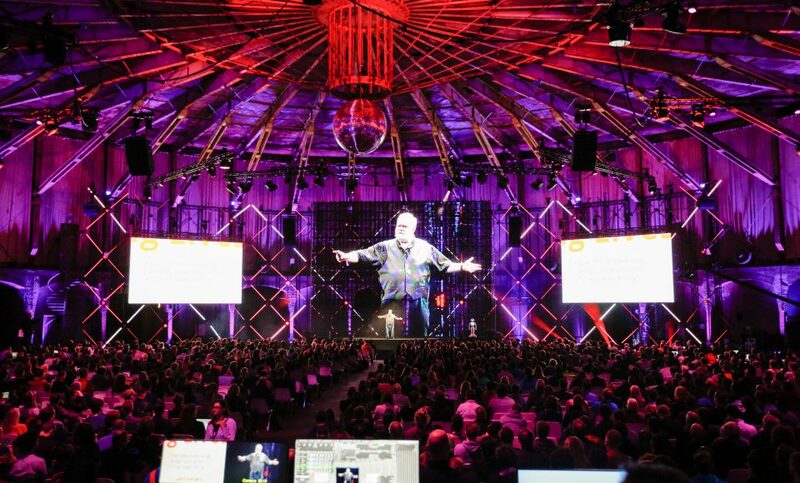 With four heavyweight anchors, moving LED screens, a full TV broadcast and live- streaming setup (just to name a few) we challenged ourselves to create a media experience that connected seamlessly with the message that needed to come across. 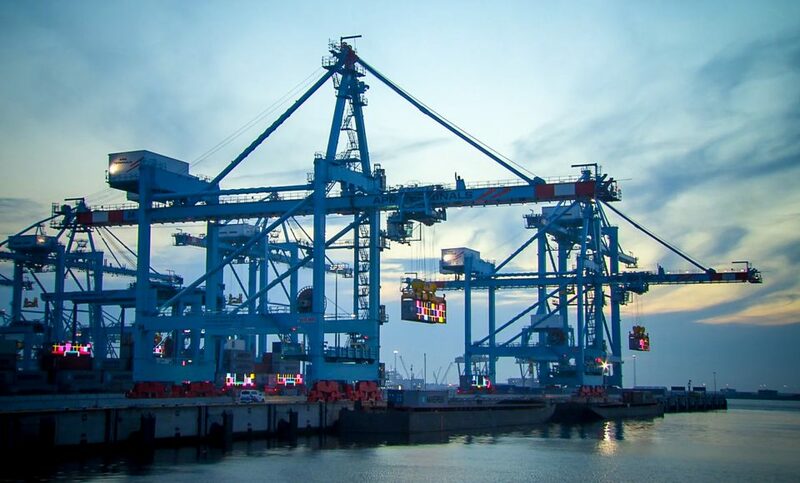 We helped The Ocean Cleanup achieve the result that they desired. Beaworld Conference in Porto, November 2017 – Best Non-profit / social service event. Heavent Award in Cannes, March 2018 – 3rd place for B2C Event. Gouden Giraffe, February 2018 – Nomination in the category Best relation event. Move the cursor to look up and down. 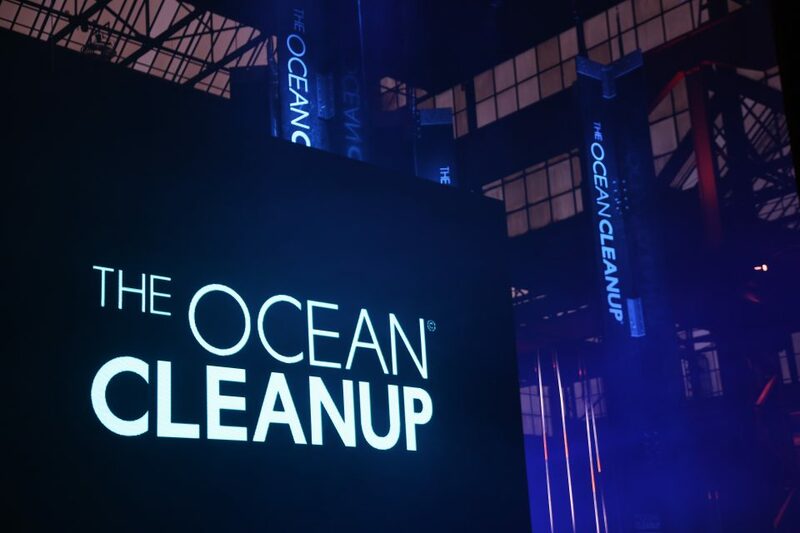 The Ocean Cleanup shared details on the improved design, and announced the start of the cleanup. 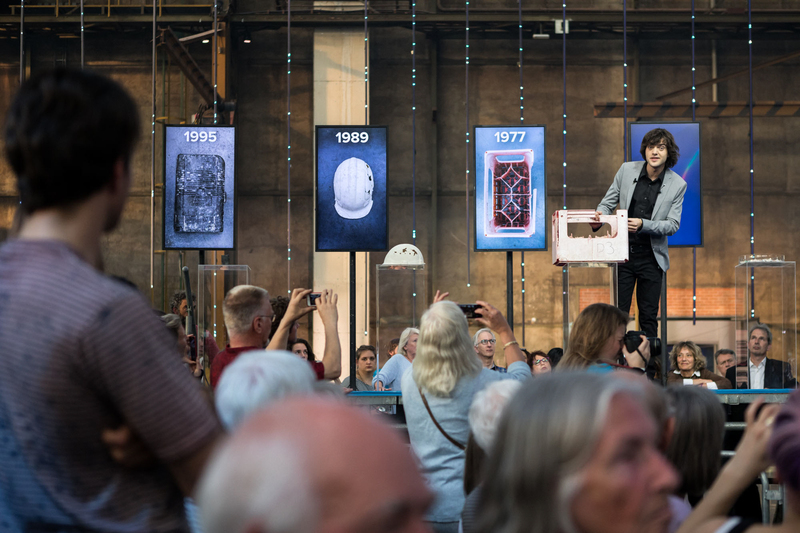 Boyan Slat demonstrated the new technology and unveiled the first parts of the cleanup system: four 12-meter (40-foot) high anchor components.